The AWS Challenge is a venue for new start-ups to compete for up to $100K in prizes and gain recognition along the way. The best entries can look forward to venture capitalist introductions, advertising on Amazon, input from industry leaders and more. The key criteria is the start-up must be built using the AWS platform. 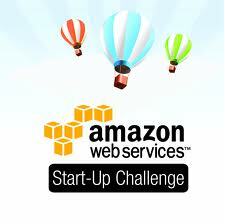 Entry ends on Dec 5th for the 6th Amazon Web Services (AWS) Global Start-Up Challenge 2012. Even if you aren’t interested in entering the contest, you may want to take a look at these companies for their services. At a minimum, see their website designs to have a better understanding of what AWS can do for you, and how with WordPress you can have a website up and running in under 10 minutes. Finalists and Semi-Finalists will also be named for each category. For more information and complete rules please see AWS Challenge . If you aren’t familiar with Amazon Web Services (AWS), this was launched in 2006 as an early cloud computing provider. AWS offers IT infrastructure services to businesses in the form of web services. Cloud computing allows for replacement of up-front capital infrastructure expenses with low variable costs that scale with your business. Businesses can operate on a pay-as-needed basis and no longer need to plan for and procure servers and other IT infrastructure weeks or months in advance. Instead, when demand increases, businesses can instantly spin up hundreds or thousands of servers in minutes and deliver results faster. And then when demand drops off, the server allocation also drops off. Fantasy Shopper – a social shopping game that lets you shop for fun without spending any real money. The shopping platform centralizes, socializes and “gamifies” online shopping to provide a real-world experience. M-Dot Network (renamed as “inmar”) – enables real-time redemption of digital coupons and incentives using their high speed transaction network, and provides real-time connectivity between Internet and mobile based technologies to in-store retail point of sale systems. M-Dot’s open framework allows retailers and application providers to build applications, which through M-Dot’s API, can now connect to retail POS systems for real-time redemption and settlement. GoodData – provides businesses a mash-up of reports, analytics, metrics and best practices rolled into one. It connects data with business people and processes to create powerful solutions that support a specific set of business use cases. The goal is allow businesses to easily analyze and interpret data from cloud applications, the web, social media, mobile devices and legacy systems at the same time, enabling business people to turn decisions into dollars. Ooyala – developed a platform which provides viewers with high quality interactive video with non-intrusive advertising. Their ad system uses computer vision and machine learning to deliver a targeted advertising experience. Booshaka – simplifies advocacy marketing for brands and businesses by making sense of large amounts of social data and providing an easy to use software-as-a-service solution. In an era where people are bombarded by media, advertisers face significant challenges in reaching and engaging their customers. Booshaka combines the social graph and big data technology to help advertisers turn customers into their best marketers. Flixlab – people can instantly and automatically transform raw videos and photos from their smart phone or their friends’ smart phones, into fun, compelling stories with just a few taps and immediately share them online. After creation, viewers can then interact with these movies by remixing them and creating personally relevant movies from the shared pictures and videos. Getaround – a peer-to-peer car sharing marketplace that enables car owners to rent their cars to qualified drivers by the hour, day, or week. Getaround facilitates payment, provide 24/7 roadside assistance, and provide complete insurance backed by Berkshire Hathaway with each rental. Intervention Insights – provides a medical information service that combines cutting edge bioinformatics tools with disease information to deliver molecular insights to oncologists describing an individual’s unique tumor at a genomic level. The company then provides a report with an evidenced-based list of therapies that target the unique molecular basis of the cancer. Compass Labs – a team of talented, accomplished individuals with strong expertise in Web and social media technologies, natural language processing, machine learning, artificial intelligence, data mining, and – not surprisingly – complex algorithms. Compass Labs is propelling a paradigm shift in people’s online experiences. Loggly – a cloud-based logging service which provides a way to collect all the logs from your servers in one centralized location and then quickly search them with an intuitive user interface. Loggly makes it a snap to check up on your application and when things go bump in the night, figure out where things are breaking. It’s logging as a service! Mediology – DigitalEdition is a SaaS platform that enables print publishers to digitize their content, add interactivity to it and then distribute the content via web, mobile and e-reading platforms. The system achieves its massive scale for content digitization and delivery using event centric cloud computing services. TellApart – provides a customer data platform, predictive customer analytics and marketing services to e-commerce companies. Backed by Greylock Partners and top angel investors, TellApart is already working with some of the most well known names in online retail, companies like CafePress, Diapers.com, Hayneedle and many others. Yottaa – enables web site owners to assess, monitor and optimize their web performance. This is an open and free utility. Zoombu – a travel search engine that helps you to find the best door-to-door route from your home to destination by searching thousands of routes across multiple modes of transport (flights, trains, ferries, coaches, car hire, private taxis and more). Zoombu brings together prices and schedules from hundreds of sites, saving users hours of time.